Air Adventure Golf Tours are your Tasmanian golf specialists. Private charter flights from Melbourne, provide quick and seamless access to Tasmania’s world-class golf courses: Barnbougle, Cape Wickham and Ocean Dunes. Tours range form one to four days and include flights, transfers, accommodation and green fees – everything is arranged and all you need to do is focus on your golf. The small and beautiful King Island is located in the middle of Bass Strait and is home to two world-class, classic links courses. This two-day tour, will unleash the golfing enthusiast at both the Cape Wickham (one of the most remote golfing locations anywhere in the world) and Ocean Dunes courses, eliminating the need to choose between them. Cape Wickham Australia’s No #3 course and currently ranked as #24 in the world. Ocean Dunes is ranked #10 in Australia (Golf Digest 2018) and yet to receive a world ranking. Tour includes return flights from Melbourne to King Island Airport, ground transfers to and from courses, 18 holes at Ocean Dunes, 18 holes at Cape Wickham Golf Course, pull cart and bag hire if required and one night’s accommodation at Cape Wickam’s on course suites. As this is a private charter tour, per person price changes depending on the number of passengers. Minimum two passengers and maximum 16 passengers per tour. There is simply no better way to play Tasmania’s world class golf courses than with Air Adventure Golf Tours. This golfing adventure links the golfing paradise of Barnbougle with potentially the world’s most remote golf course, Cape Wickham on King Island. All tee off times, accommodation, transfers and flights are arranged across the three day tour. This ensures guests have more time to relax and play golf. Cape Wickham is ranked #3 in Australia and #24 in the world. Barnbougle Dunes is ranked #4 in Australia and #33 in the world. Lost Farm is ranked #6 in Australia and #40 in the world (Golf Digest 2018). Tour includes flights from Essendon Airport Melbourne > Barnbougle Airfield > King Island > Essendon Airport Melbourne, two nights on course accommodation at Lost Farm Lodge, 18 holes at Barnbougle Dunes, 20 holes at Barnbougle Lost Farm, 18 holes at Cape Wickham and all ground transfers. As this is a private charter tour, the per person prices change depending on number of passengers. Minimum two passengers and maximum eight passengers per aircraft (two aircraft available). When golfers want to access Tasmania’s most amazing and highly ranked golf courses, they come to Air Adventure Golf Tours. Luxurious and private transfers on the Outback Jet – ensure convenience, comfort and maximum time on the course. This two-day package allows guests to maximise their time on the fairways of not just one, but two of Australia’s Top 10 golf courses. Guests play and stay overnight and enjoy the challenges, beauty and golfing rewards that Barnbougle Dunes and Lost Farm have to offer. Barnbougle is ranked #4 in Australia and #33 in the world and Lost Farm is ranked #6 in Australia and #40 in the world. 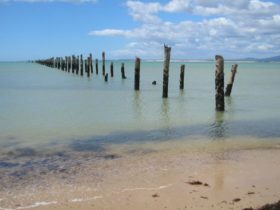 Tour includes return flights from Melbourne to Barnbougle Airfield, one night’s accommodation at Lost Farm Lodge and two sets of green fees for Barnbougle Dunes and/or Barnbougle Lost Farm Golf Courses. As this is a private charter tour, per person prices change depending on the number of passengers. Minimum two passengers and maximum 16 passengers per tour. The true golfing enthusiast wants nothing more than to tee off as soon as possible. Driving to and from courses, airports and planning everything in between is just a hinderance. With Air Adventure Golf Tours all guests have to do is fly, play and stay – we’ll do the rest. The remote rolling fairways and sweeping greens of Barnbougle are just a short, comfortable and luxurious flight away. This 3-day package allows guests to spend minimal time in transit and maximum time on the fairways at two of Australia’s golf courses. Barnbougle Dunes is ranked #4 in Australia and #33 in the world. Lost Farm is ranked #6 in Australia and #40 in the world. 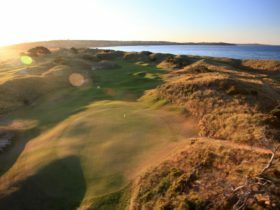 Tour includes return flights from Melbourne to Barnbougle Airfield, two nights accommodation at Lost Farm Lodge and three sets of green fees for Barnbougle Dunes and/or Lost Farm Golf Courses. As this is a private charter tour, per person price changes depending on the number of passengers. Minimum two passengers and maximum eight passengers per aircraft (two aircraft available). This ultimate golfing adventure links the paradise of Barnbougle with King Island’s two new world-class golf courses, Cape Wickham and Ocean Dunes. Guests will have everything managed for them across four golf filled days. Tee off times, accommodation, transfers and flights are all pre-arranged, maximising relaxation and time on the course. Cape Wickham is ranked #3 in Australia and #24 in the world. Barnbougle Dunes is ranked #4 in Australia and #33 in the world (Golf Digest 2018). Lost Farm is ranked #3 in Australia and #40 in the world. 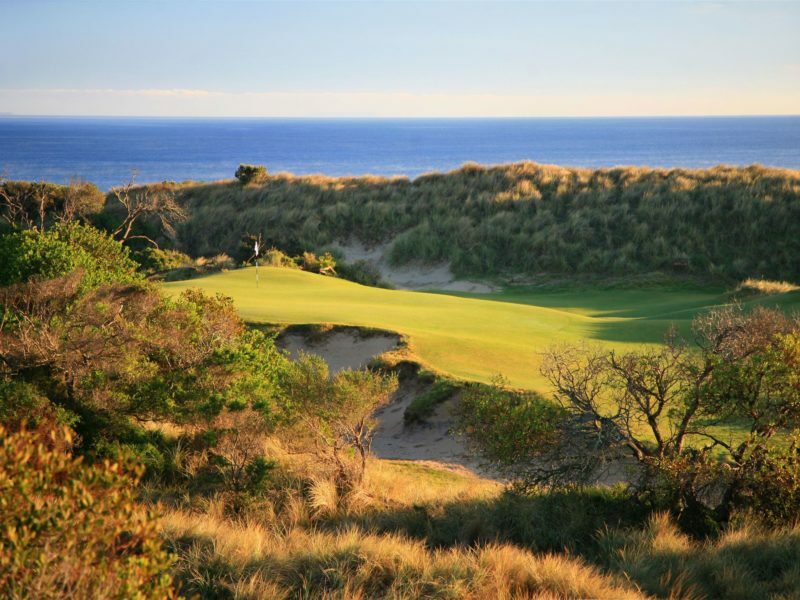 Ocean Dunes ranked #4 in Australia and is yet to receive a world ranking. Tour includes flights between Melbourne, Barnbougle Airfield and King Island Airport, two nights on course accommodation at Lost Farm Lodge, one night accommodation at Cape Wickham, 18 holes at Barnbougle Dunes, 20 holes at Barnbougle Lost Farm, 18 holes at Ocean Dunes, 18 holes at Cape Wickham and all ground transfers. As this is a private charter tour per person prices change depending on number of passengers. Minimum two passengers and maximum eight passengers per aircraft ( two aircraft available). The only difficult thing about this golf tour is that guests can only choose one course! Two world-class, classic links courses are homed on King Island, a tiny island in the middle of Bass Strait. These courses are remote, spectacularly beautiful and suitably challenging – a golfer’s heaven. The choice is between Cape Wickham or Ocean Dunes. Hidden amongst the dunes where the beach is even considered “in play” and beneath Australia’s tallest lighthouse, Cape Wickham, is in fact one of the most remote golf courses in the world. With several holes along its stunning two kilometre stretch of ocean frontage and fairways weaving over and between sand dunes, Ocean Dunes is one of Australia’s Top 10 courses (Golf Digest 2018). Whatever your choice, the scene is set for some unforgettable golfing, and with Air Adventure’s charter tours, King Island is only a 35 minute flight from Melbourne. 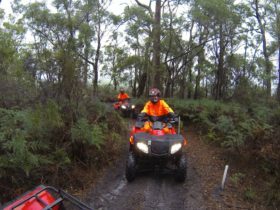 Tour includes return flights from Melbourne to King Island Airport, ground transfers, green fees, pull cart and bag hire if required. Perfect for the adventurous golfer who is looking for an amazing golfing experience – private charter, world-class golf courses, two nights accommodation and memories that will last forever. Travel with Air Adventure Golf Tours to remote King Island, in the middle of Bass Strait, home to not one but two world-class, classic links courses. This three-day tour will allow guests to play both the Cape Wickham (one of the most remote golfing locations anywhere in the world) and Ocean Dunes courses. Tour includes flights between Melbourne and King Island Airport, two nights on course accommodation at Cape Wickham, 18 holes at Ocean Dunes, 36 holes at Cape Wickham and all ground transfers. As this is a private charter tour per person prices change depending on number of passengers. Minimum two passengers and maximum eight passengers per aircraft (two aircraft available).